We offer a complete service fulfillment. 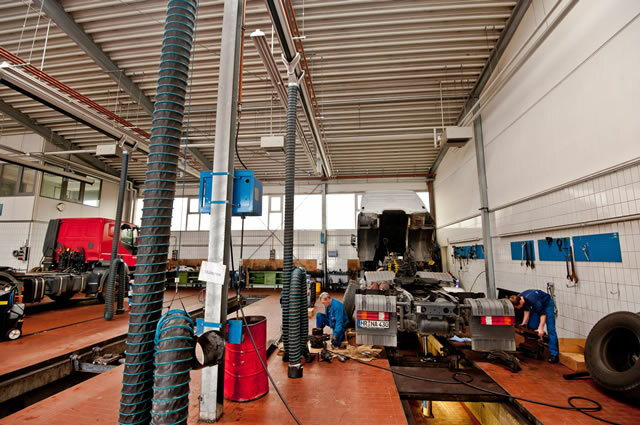 Our workshop is equipped with state-of-the-art components and all necessary diagnostic equipment. 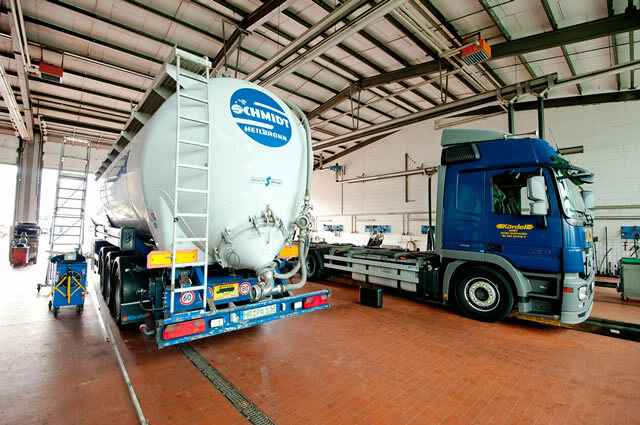 We guarantee quality and motivation – even if it is a matter of guarantee or maintenance since we are contractual partner of Renault Trucks, Wabco, Schmitz-Cargobull, Rohr-commercial vehicles and SAF Netherlands. 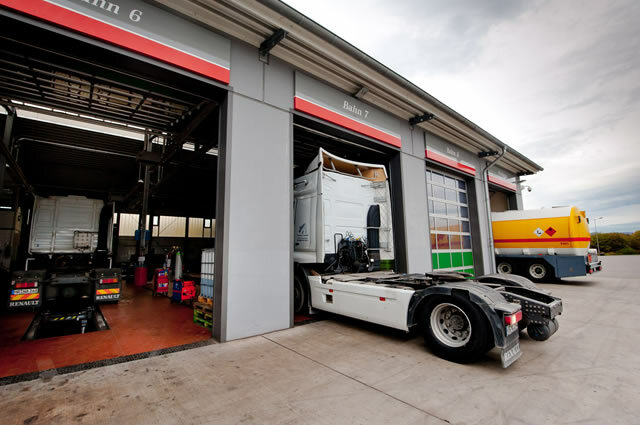 Statutory checks like general inspection, emission analysis, speed indicator, pressure tank check, etc. Your safety is our job – constantly trained personnel and state-of-the-art inspection equipment enable to check your vehicle for safety. 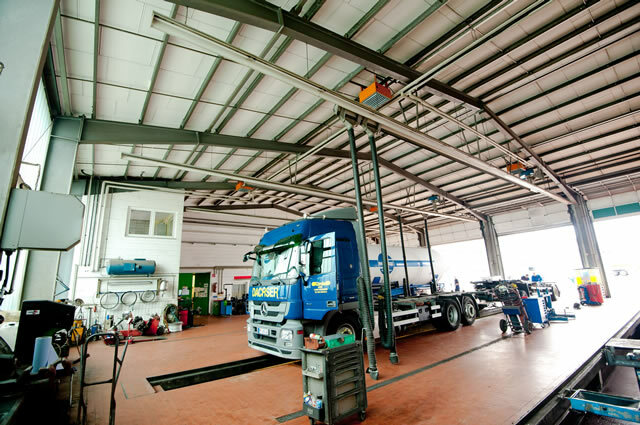 Our service contains a constant development of our employees as well as capital spending on modern inspection and diagnostic equipment. We guarantee a quick and easy process. 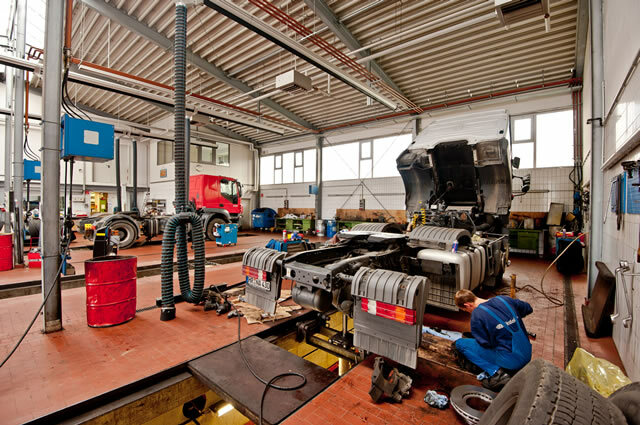 All repairs, maintenance and guarantee works on Wabco and other brake systems are executed by our well-trained employees. Due to the growing amount of electronics in today’s vehicles we adapt our working standards to the requirements of each vehicle. Therefore, we constantly keep our technological equipment and staff up to date. We’ll help you limber up your vehicle quickly. No matter what kind of damage – we offer you a complete service fulfillment from obtaining our expert advice to invoicing. 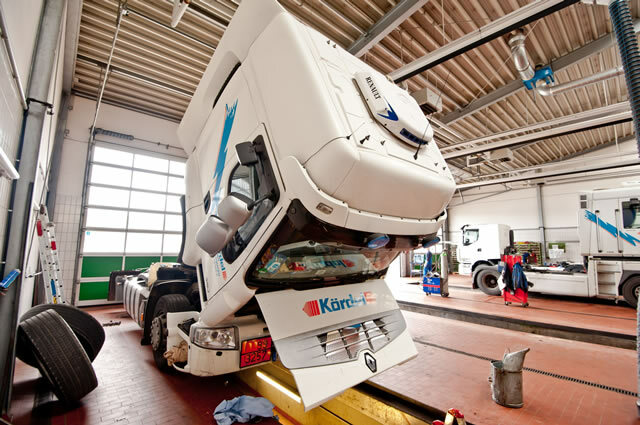 Depending on the accident, damaged parts may also be repaired and used again. To make your vehicle look brand-new after the repair we also offer you to sandblast and revarnish it.